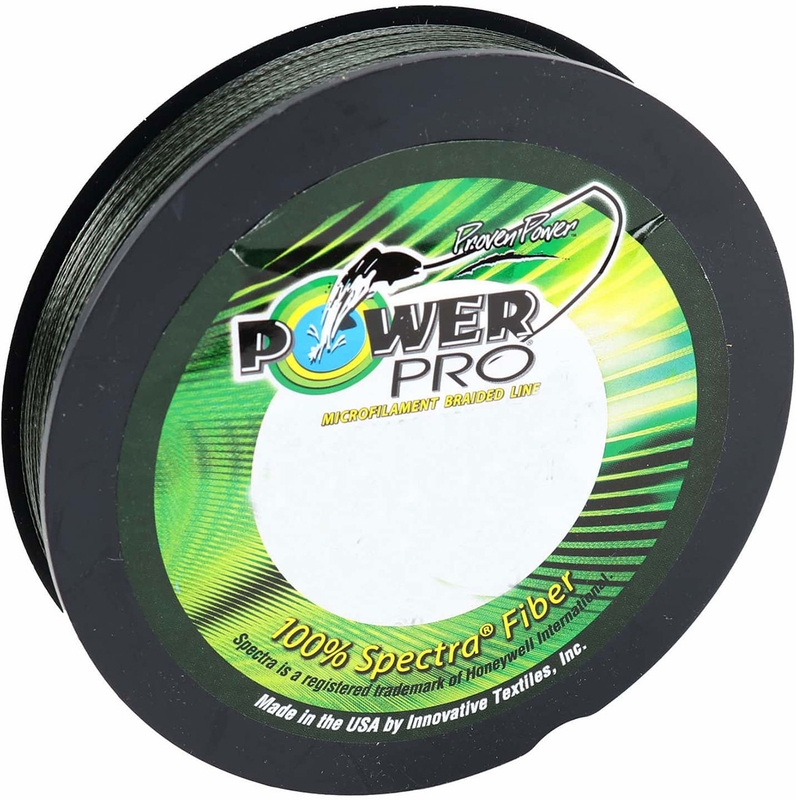 PowerPro braided Spectra fiber with Enhanced Body Technology (EBT) gives you awesome handling performance on any reel. Unlike the older style braided lines, fishing with PowerPro is as easy as fishing with monofilament. 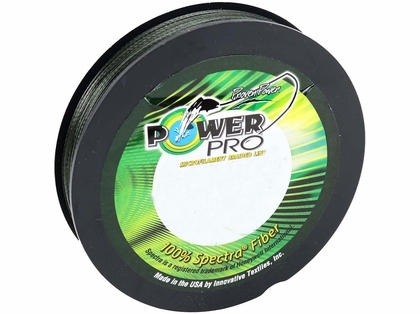 An incredibly round, smooth, and sensitive line, PowerPro doesn't bury in the spool, and casts long and smooth -- even after a hard strike. PowerPro outperforms monofilament lines in any situation and leaves other superlines in the dust. Love this stuff. Noisy through the guides but strong. Purchased this after buying another brand that turned my hands blue and breaking off a couple of lures on snags. Guessed this more expensive line would be more reliable and it is. Also it has such a small diameter that my reel holds a lot more line. I run power pro on almost all my reels, great long lasting, long casting line that lasts a long time. Great line overall with no complaints. I use it on many reels in many different lbs. Have used PowerPro braid for years. since switching to this I can go 2-3 years between re-spooling. 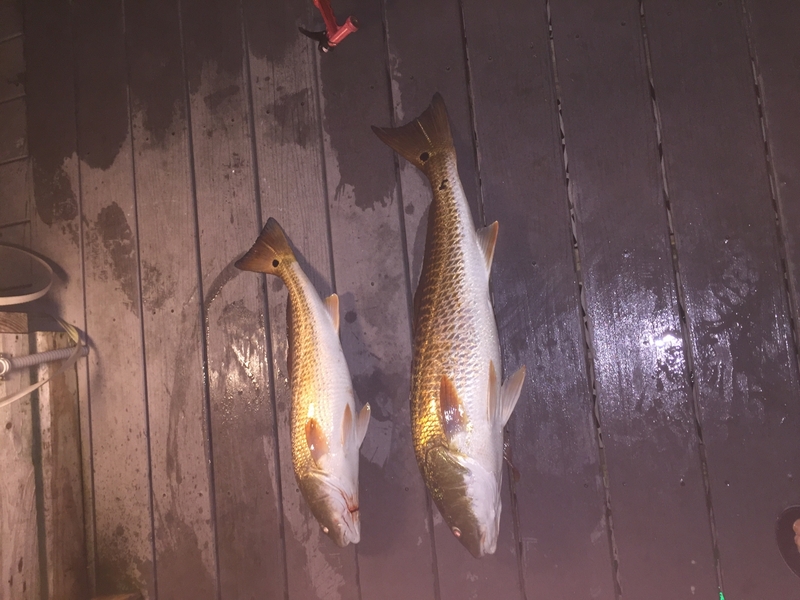 Great stuff on 3000 series inshore set up. 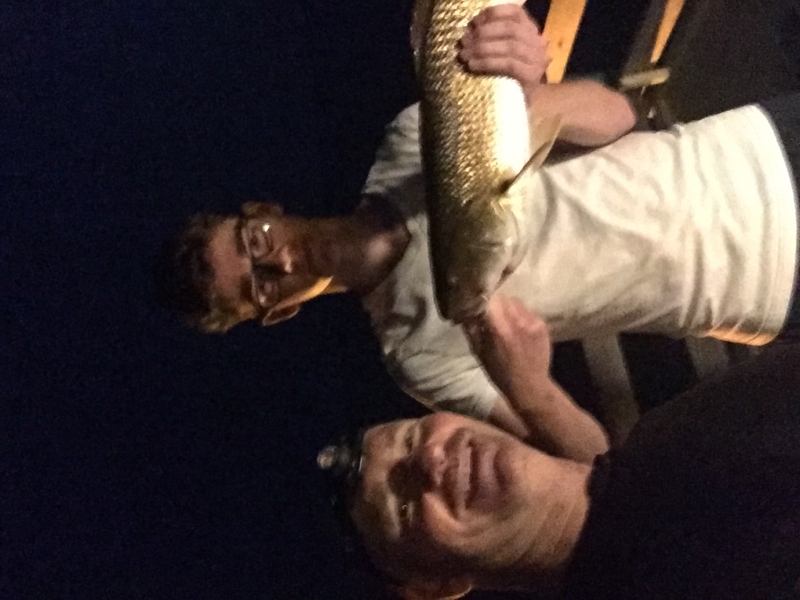 Stood in the surf for hours making very long casts catching lady fish after lady fish. Never had to worry about line failure. If your not using this line try it you won�€™t be disappointed! Power Pro is my favorite braid. love this line for my sabiki rods. Already producing the big ones that used to get away �Ÿ˜��Ÿ˜! We do not have a 14lb we do have 15lb power pro 300 yards in moss green.